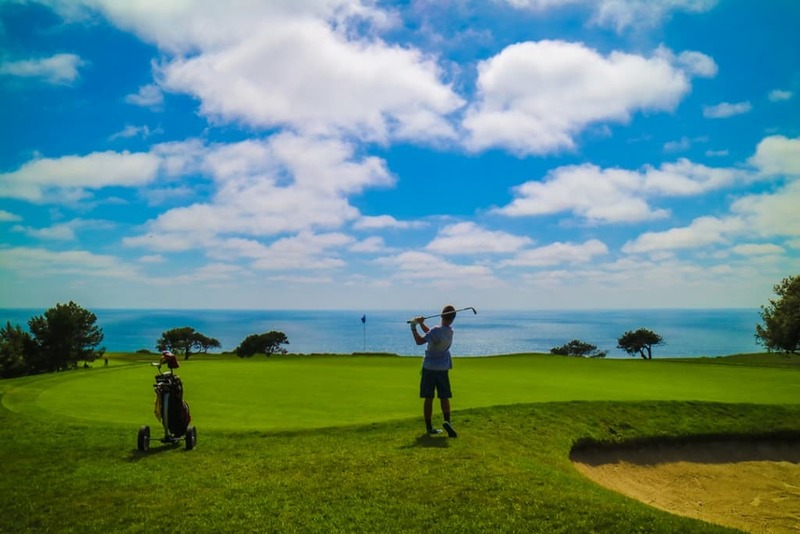 by Ryan July 8, 2016 August 8, 2017 . 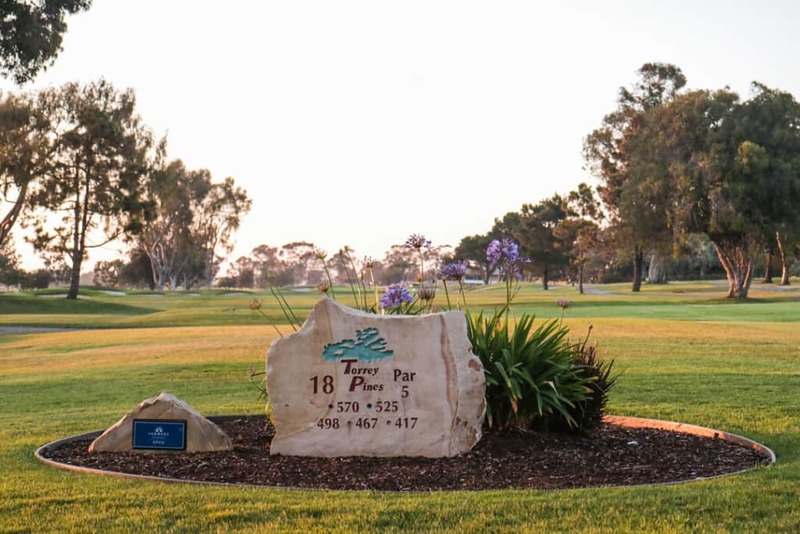 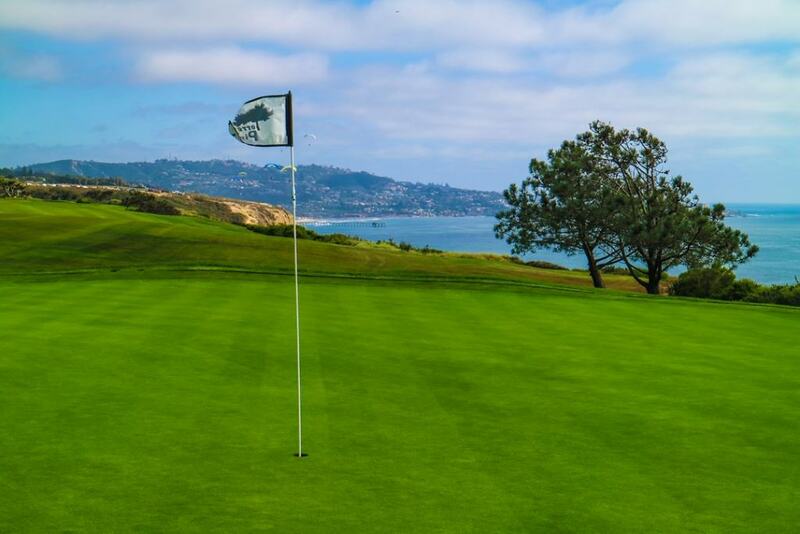 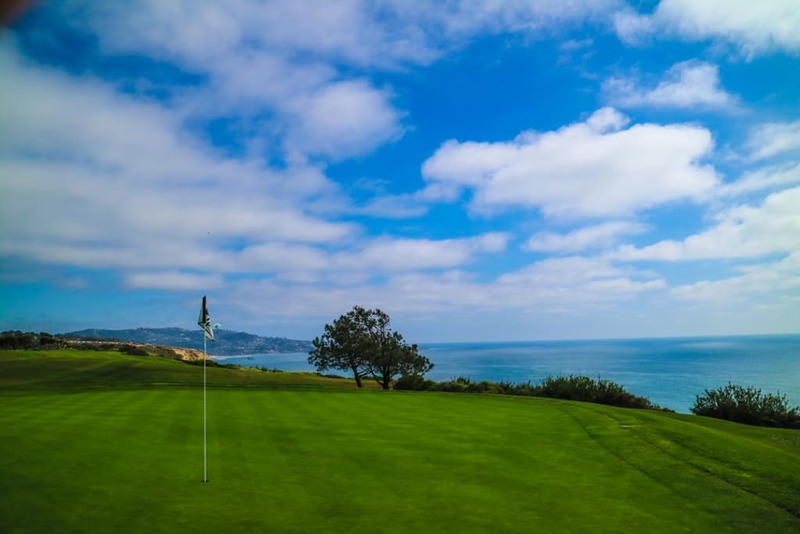 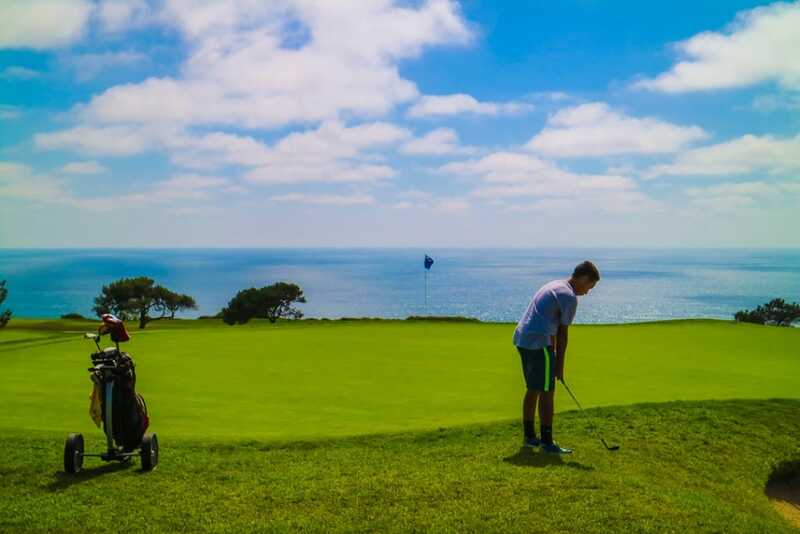 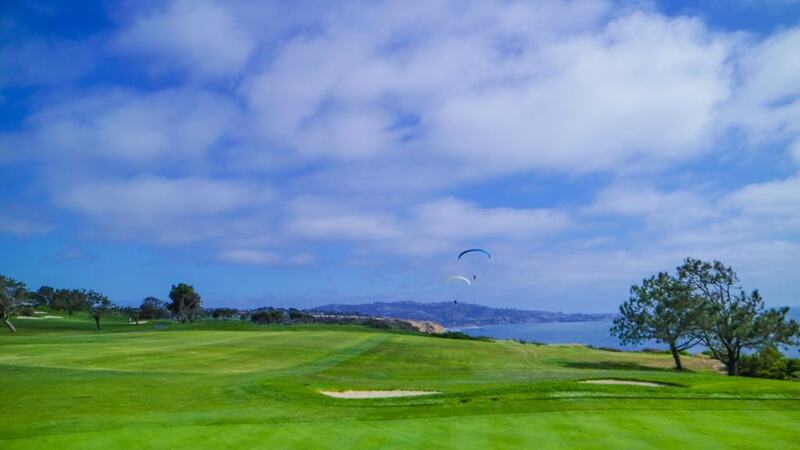 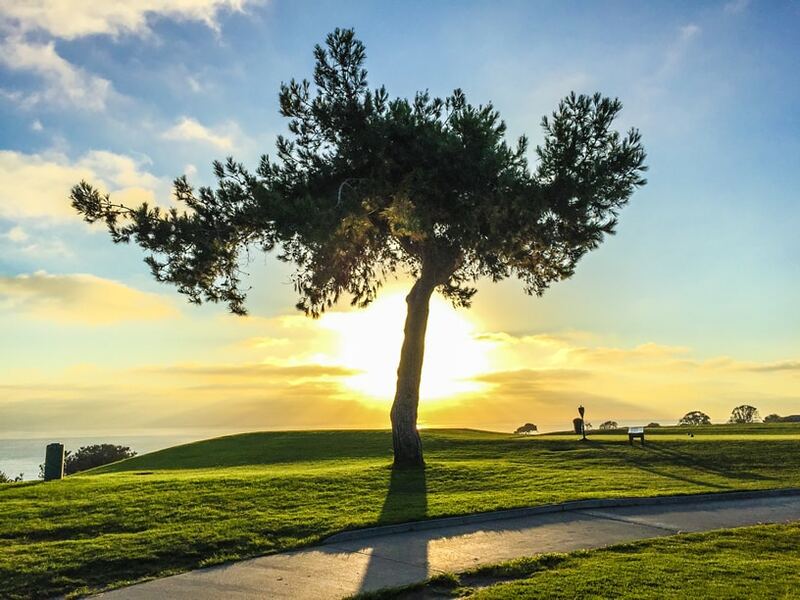 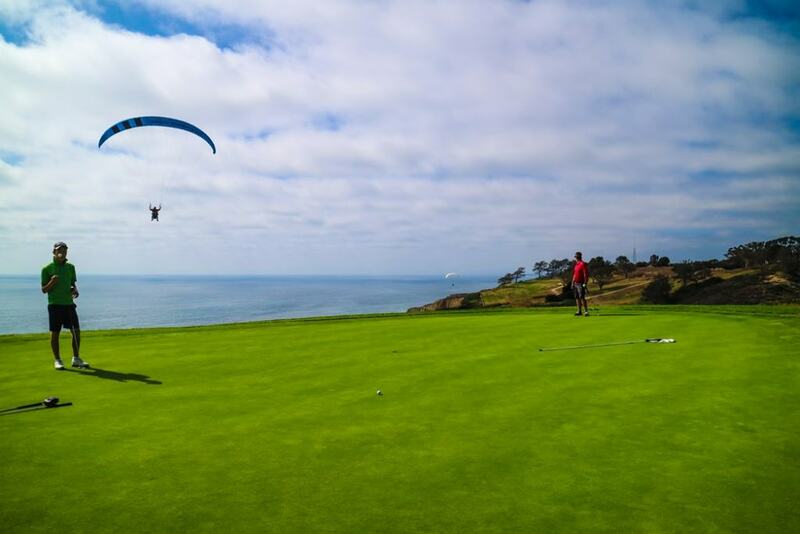 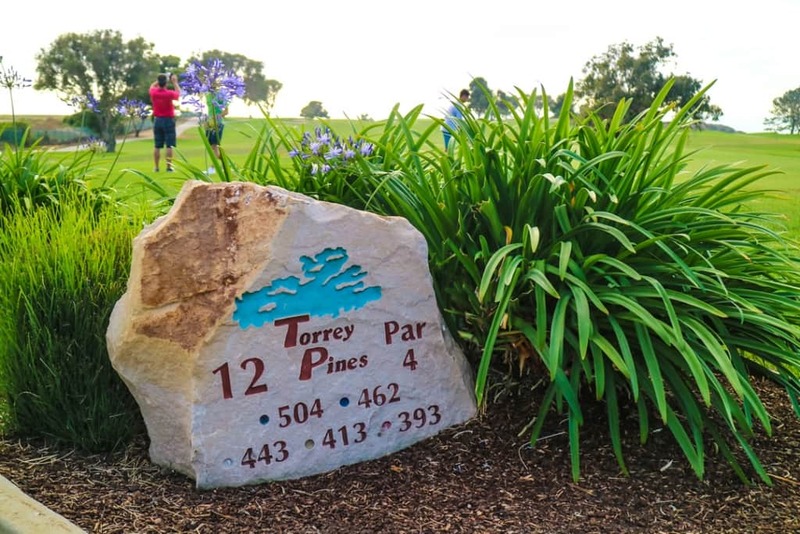 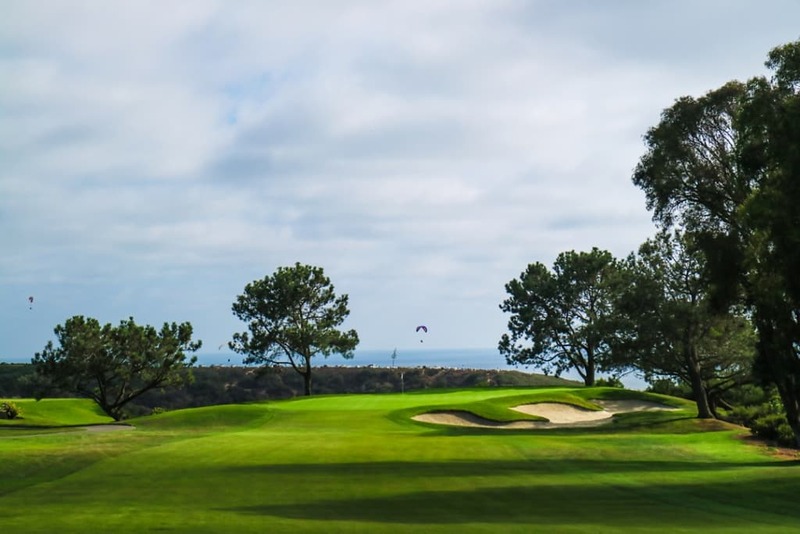 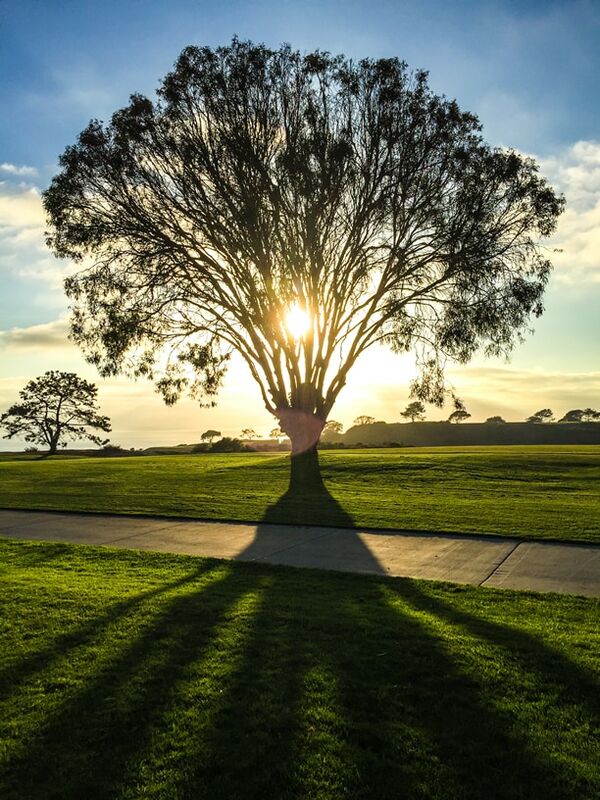 I love golf and Brittany loves being by the ocean, so when we decided to come to San Diego for the first part of our vacation we agreed that Torrey Pines would be an ideal place for us to stay. 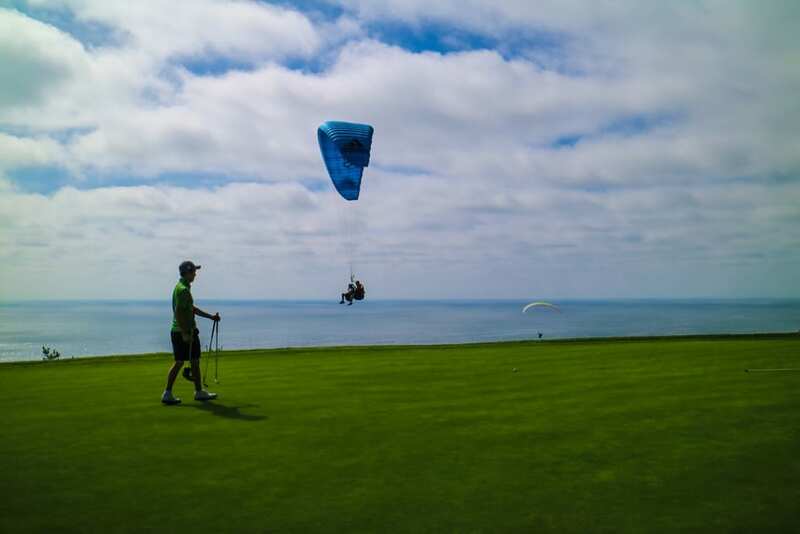 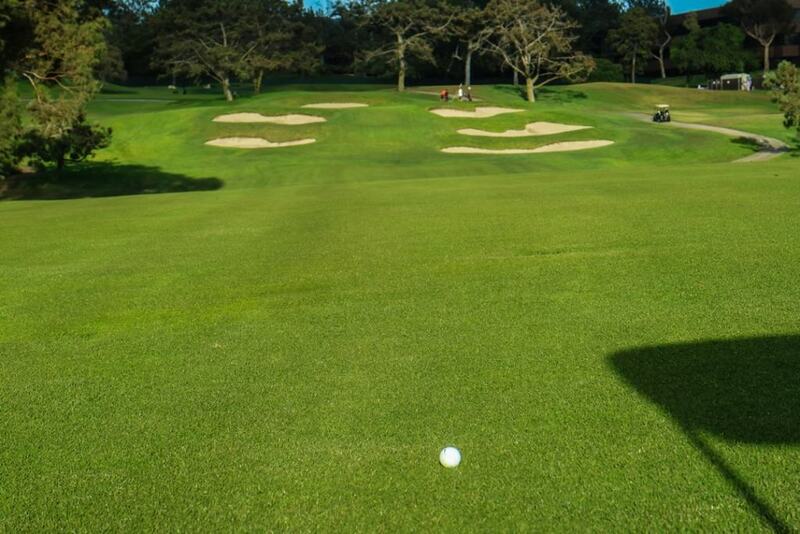 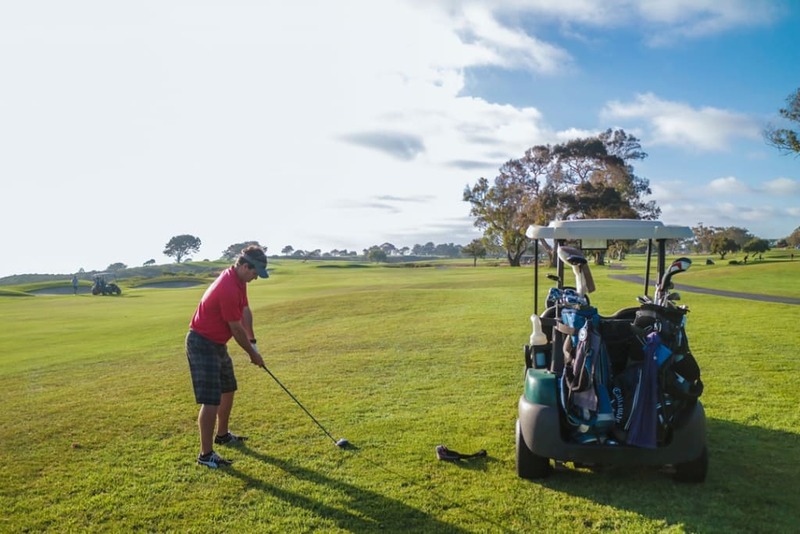 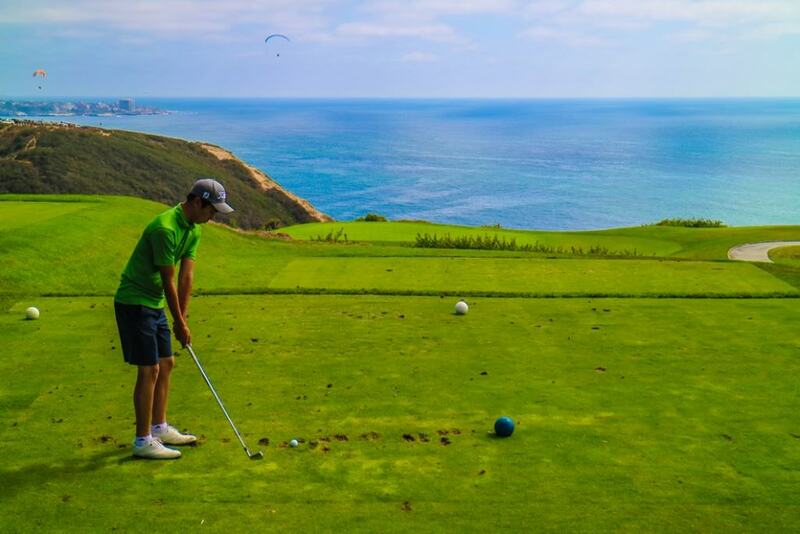 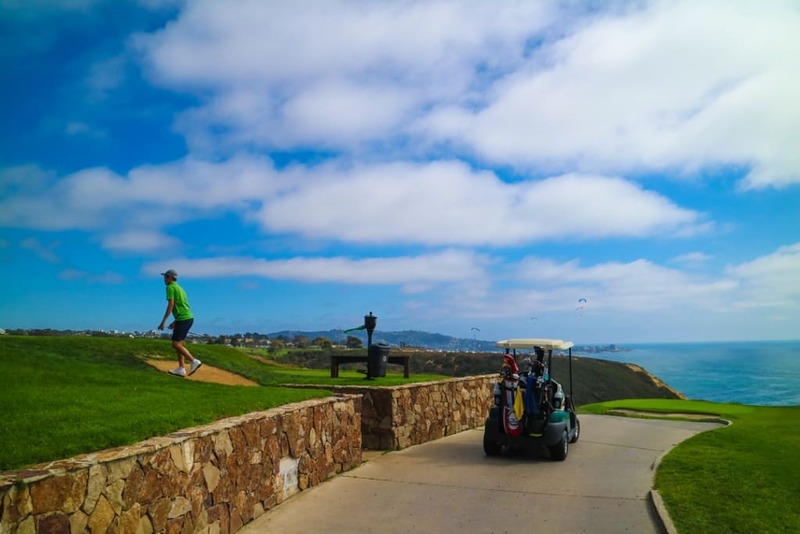 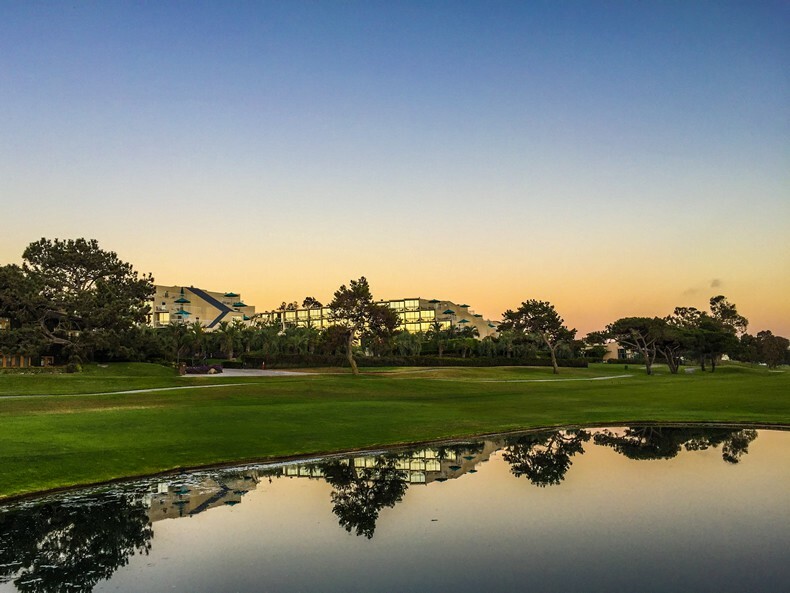 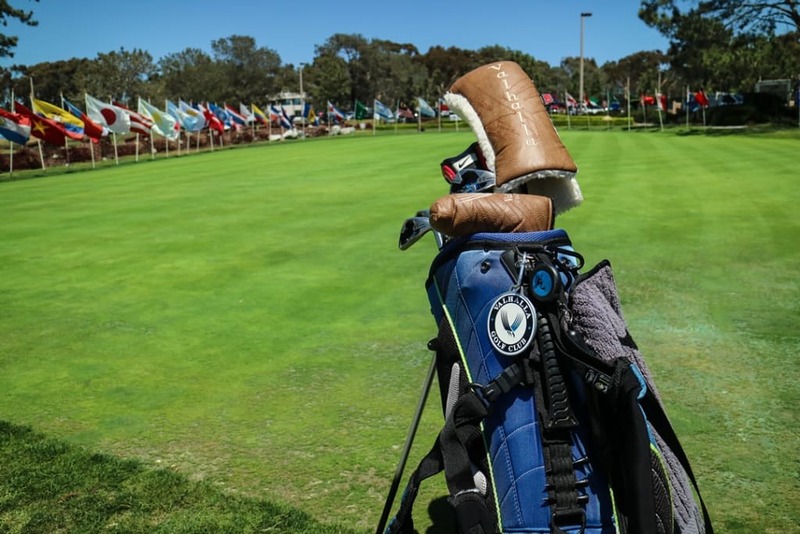 We found a hotel in our price range at the Hilton La Jolla Torrey Pines and I immediately called to make a tee time at the famous golf course. 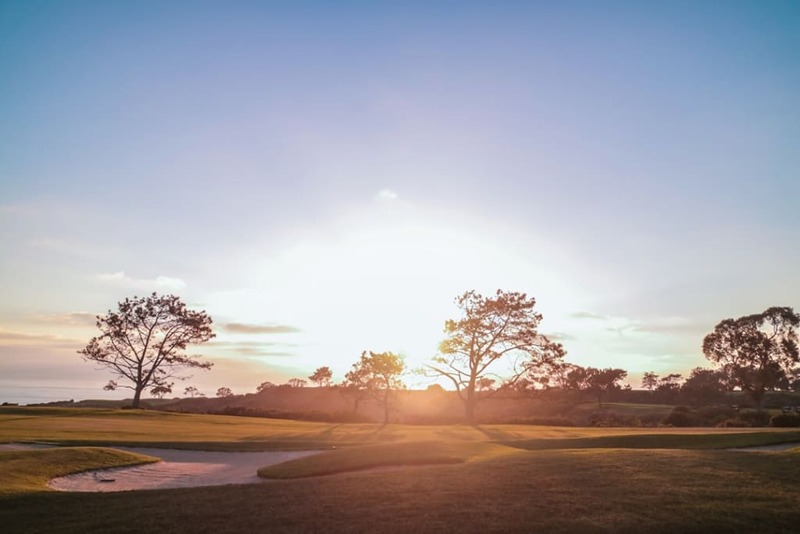 Playing the South Course yesterday evening was something I will never forget. 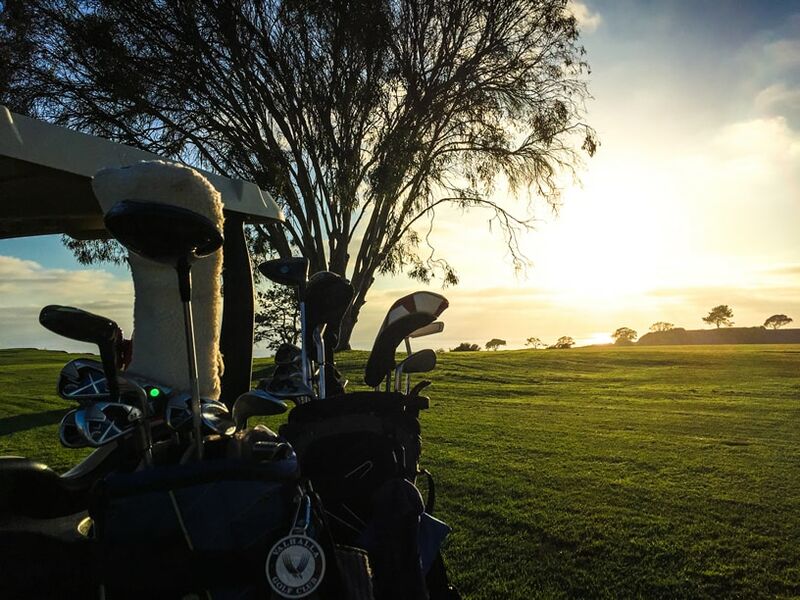 The course was in pretty good shape, but it was the *INCREDIBLE* sunset views of the Pacific Ocean that left me speechless. 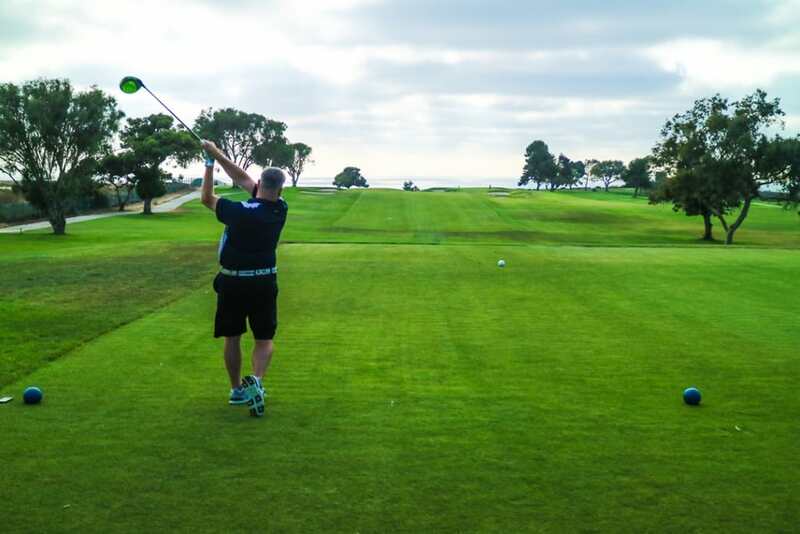 I was paired with three others: the first was a gentleman named Mark who lives in Colorado and was here celebrating his 10-year wedding anniversary. 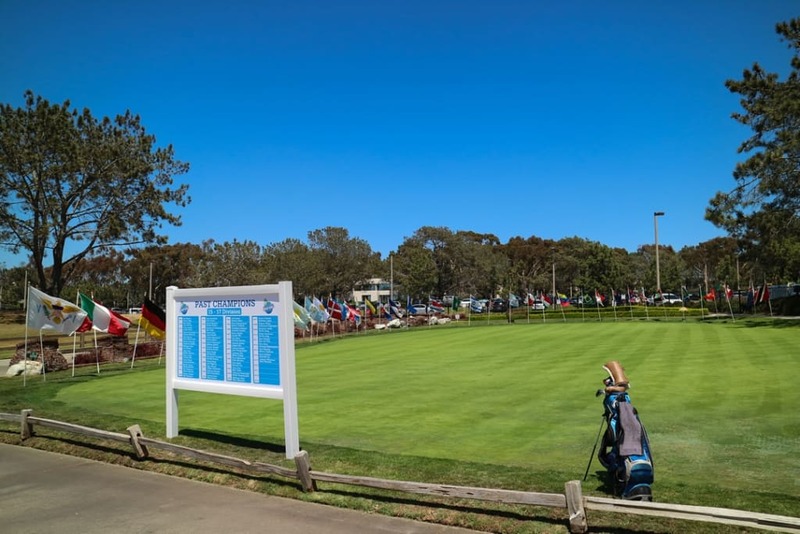 The second player was a high schooler from here in San Diego who plays on the golf team, and the third was a 17-year-old from Australia who is here to play the IMG Junior World Golf Championship. 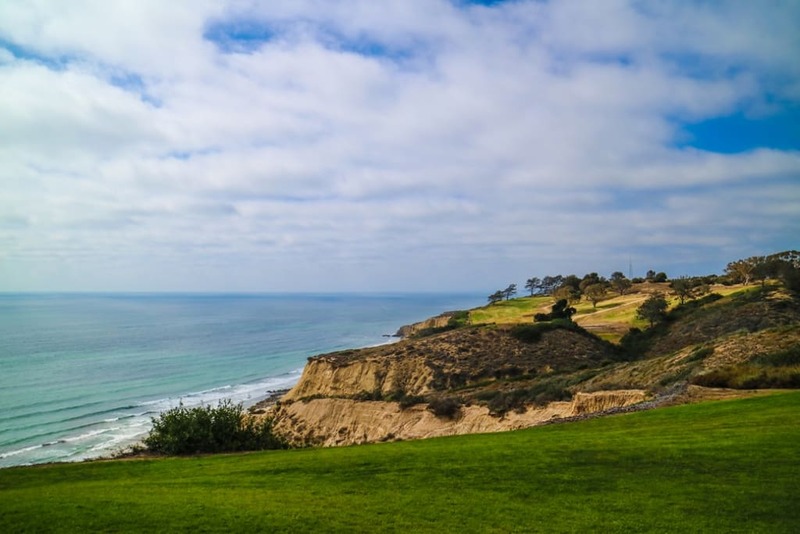 We all had a great time together and couldn’t stop marveling at the beautiful scenery. 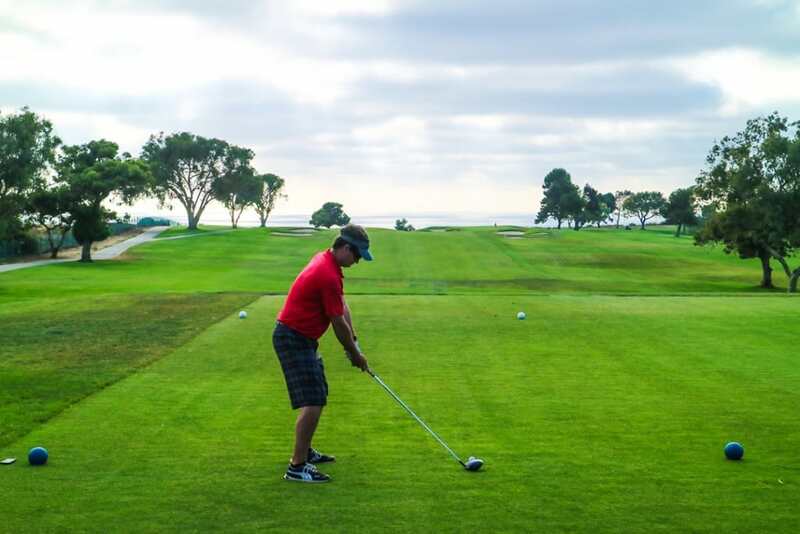 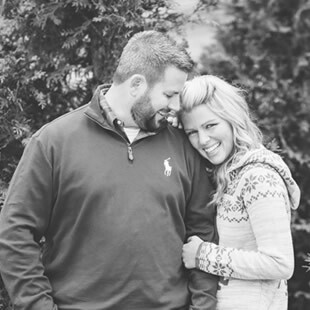 Here are some photos from our day on the links!